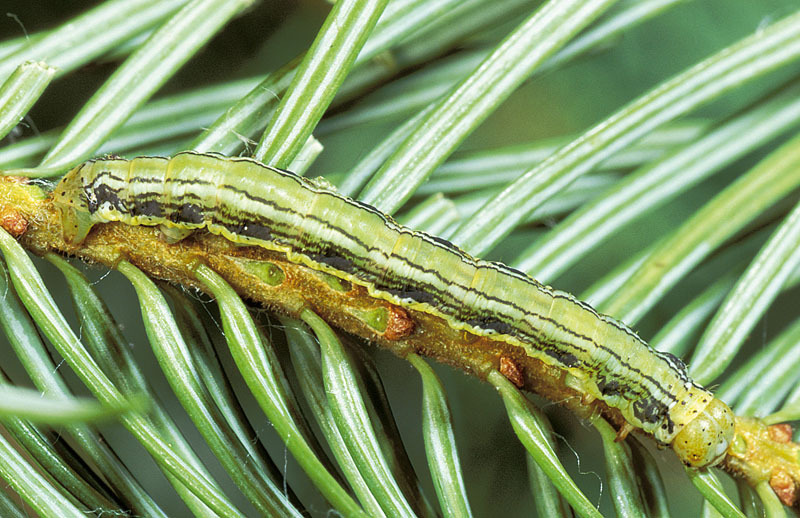 Western false hemlock looper is a common and occasionally destructive solitary defoliator. Mature larva to 25 mm long. Head, tan with black spots. Dorsum tan with rust coloured suffusion; subdorsal stripe creamy yellow, edged with fine dark lines; supraspiracular stripe tan containing a fine wavy dark line; spiracular stripe broad, yellow and edged with fine dark lines. Tan areas replaced by green in prepupal larvae. This species overwinters in the egg stage. 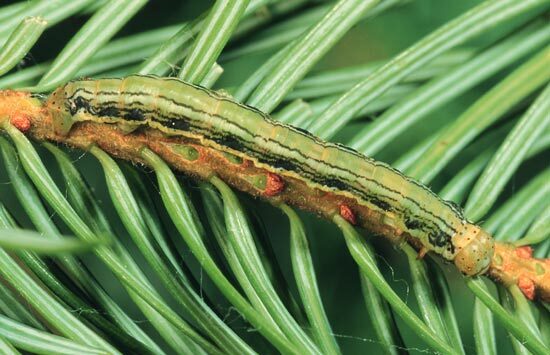 Larvae emerge in late May and initially feed on the new growth. 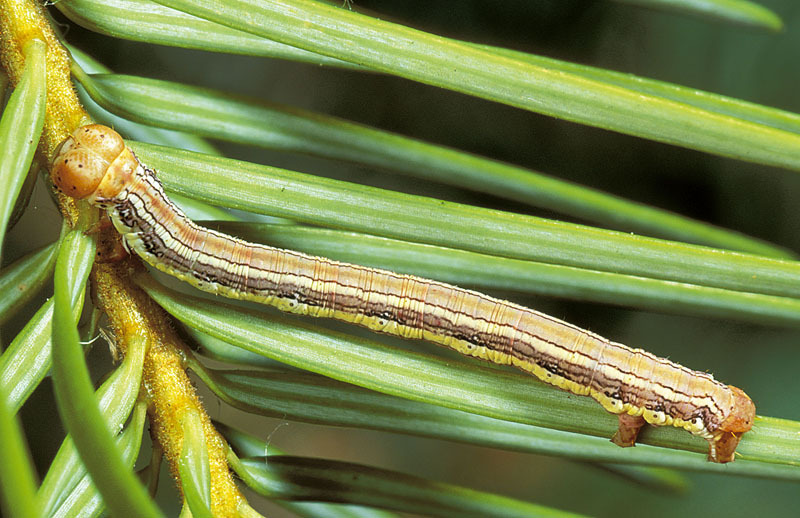 Later in the season as the current-year's foliage is depleted, the larvae move toward the bole and consume older foliage. 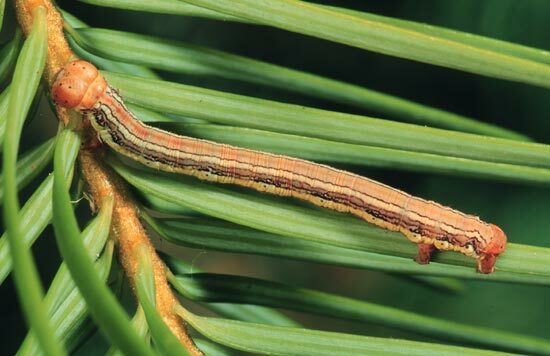 The larvae are wasteful feeders, often consuming only parts of needles and chewing them off at their bases; the accumulation of partially consumed needles causes heavily infested trees to appear scorched. 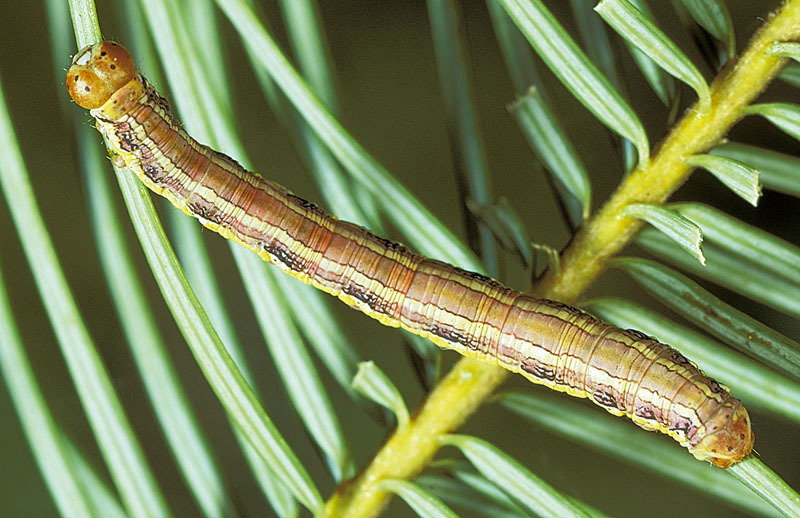 Pupation occurs on twigs or on the foliage in late July or August and adults emerge from August to October. Females lay an average of 70 eggs singly or in small clusters on both sides of the host needles.